Gowling WLG is pleased to announce that Yulia Yarnykh, a member of the firm’s Moscow office, has been promoted to counsel. She previously served as an associate. Yulia Yarnykh focuses her practice on a broad range of IP and corporate matters, including the enforcement of IP rights, trademark protection and IP transactions. She is also proficient in compliance and regulatory matters in media, e-commerce, personal data protection, competition and advertising. 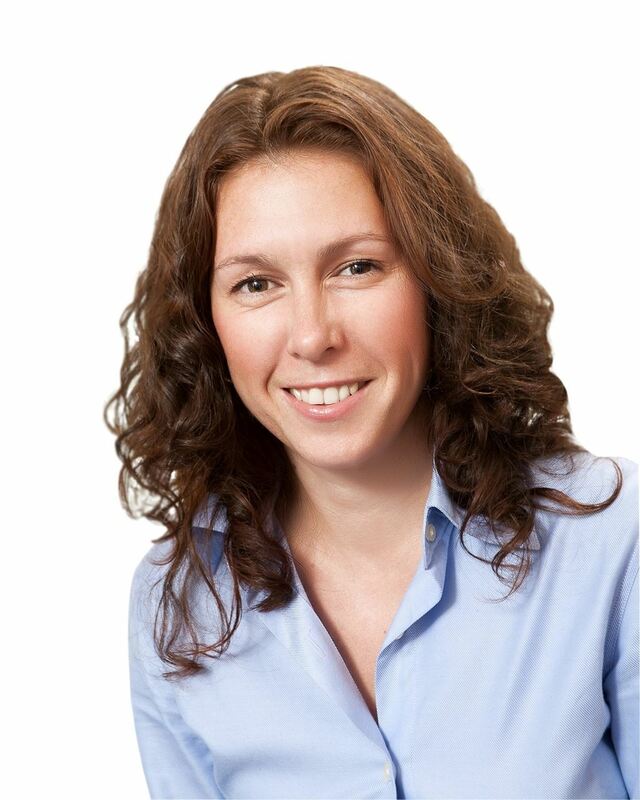 In 2018, Yulia was named a “Rising Star” by Managing Intellectual Property, one of the world’s premier IP publications. Through the strength of our Moscow office, Gowling WLG delivers a wide range of intellectual property law services across Russia. Our award-winning trademark, copyright and patent professionals work with European, Canadian and global companies to manage and defend their IP rights. Gowling WLG Russia/CIS is a recognized leader in the protection of intellectual property rights in the region. Through the strength of our Moscow office, the firm has worked with a global clientele for about three decades to deliver strategic advice in all aspects of IP law throughout Russia and the CIS. Uzbekistan has annulled the confidentiality of information concerning the country's mineral reserves, their annual production and sales, as well as foreign and internal debts, Uzbek justice ministry said Monday. A government decree that lifts restrictions on the publication of the information on the dynamics of gold, silver and other non-ferrous and rare earth metals mining has been approved by the Cabinet of Ministers, according to the country's justice ministry. Under the decree, Uzbekistan will start publication of information on the country's mineral reserves, mining and sales volumes and the distribution of funds derived from the sales. Annual volumes of gold-currency reserves and their composition as of Jan. 1, 2017 will be published officially, the ministry said. Two main state-owned gold producers in the country, Almalyk Mining and Metallurgical Combine (Almalyk MMC) and Navoi Mining and Metallurgy Combinat (NMMC), as well as the country's Fund for Reconstruction and Development will make publicly available their annual financial reports as of 2013. Almalyk MMC and NMMC produce some 20 percent and 70 percent of the total precious metals in the country respectively. According to expert estimates, Uzbekistan produces more than 100 tons of gold annually. "Total amount of debt (internal and external) guaranteed by the state, their sources, currencies, interest rates, and terms of repayment, as well as information on borrowing and repayment of debts" will also be published, according to the new degree of the Uzbek government. The Central Asian country, rich in resources, has been taking a series of steps to reform its economy, including liberalization of the foreign exchange market, reduction of tax burdens and improving investment climate for foreign investors since Shavkat Mirziyoyev came to power following the presidential elections in 2016. 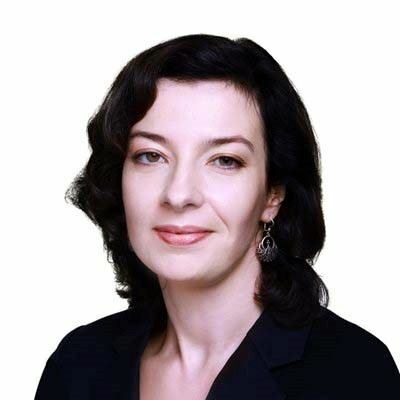 A certified court expert and member of the Сhamber of Patent Attorneys, Aronikova has extensive experience in litigation, trademark rights and copyright protection, unfair competition and domain disputes. Aronikova represents international and Russian companies before the Chamber of Patent Disputes of the Russian Patent and Trademark Office (Rospatent) and assists clients with the registration of trademarks with Rospatent and the World Intellectual Property Organization. She also co-ordinates trademark prosecution work for clients in the CIS countries and further abroad. Recognized by WTR 1000 and IP Stars as a leading Russian trademark expert, Maria joined Gowling WLG’s Moscow office in 2011. She now heads the office’s brand protection and anti-counterfeiting practice. Gowling WLG is a global law firm with over 1,400 legal professionals and a range of dedicated support teams across 18 cities in Canada, the UK, Europe, Asia and the Middle East. The firm provides world-class legal expertise and multi-jurisdictional support in key global sectors. It is also home to one of the world's premier full-service intellectual property practices. For nearly three decades, Gowling WLG has been a recognized leader in the protection of intellectual property rights in Russia and the CIS region. Through the strength of our Moscow office, the firm continues to deliver strategic advice and tailored solutions in all aspects of IP law to a global clientele. Gowling WLG was named "Firm of the Year" in three categories at the inaugural Global IP Awards ceremony, held last night in London. The firm took home the top honour in the "Russia – IP Firm of the Year" category and was also named Canadian "Firm of the Year" in both the patents and trademarks categories. Partners Monique Couture, Gordon Harris and Scott Jolliffe were on hand to accept the awards. Hosted by Intellectual Asset Management (IAM) and the World Trademark Review (WTR), the awards identify the world's leading intellectual property law firms based on IAM’s and WTR’s reporting and analysis of notable IP achievements over the past year. Both IAM and WTR have long recognized Gowling WLG's IP Group as one of the world's leading international IP practices, with considerable strength in both trademarks and patents. CERBA partner, Interconn Development group, invites all interested parties to attend ATASD (www.atasd.ca) - SHERP (www.sherp.ca) combined event: "Day of Rescue Amphibious: Vehicles Joint Demonstration and Trials" on Friday, February 8, from 11 am to 4 pm in Parry Sound, Ontario, Canada. This event will be arranged at the Stockey Centre/Georgian Bay area in the downtown of Parry Sound with active support and assistance from municipal and provincial Ontario governments. Two SHERP ATVs (www.sherp.ca), ATASD ACV(www.atasd.ca), hovercrafts from “Air Rider Hovercraft” (www.airriderhovercraft.com), rescue airboats from USA manufacturer “1000 Islands Airboats” (www.1000islandairboats.com) will be shown in action - riding over water-ice-snow-ground. CERBA Corporate Member, Intermark Relocation is happy to inform you that now they are starting Intermark Club - the new community for foreigners in Russia, making life of a foreigner fun and exciting, and the adaptation smooth and safe. Intermark Club is a platform that provides you with best events information – concerts, plays, festivals, tours and meetings; English-friendly venues that offer discounts and privileges; schedules of movie showings in their original language; and shares lifehacks on life in Russia from expats and Intermark experts. Joining the community and becoming an Intermark Club Member is free-of-charge. Please feel free to share information about your favorite places with Intermark Club to make the fullest digest of all the fun in Russia! In an impressive showing, 54 Gowling WLG professionals earned 58 rankings across 34 categories in the 2019 edition of Chambers Canada. In addition, Gowling WLG was recognized as a leading law firm in 31 practice areas. This year, Gowling WLG was shortlisted for the Life Sciences "Firm of the Year" award. This honour recognizes notable achievements over the past 12 months in life sciences law, including outstanding work, impressive strategic growth and excellence in client service. For more than two decades, Chambers and Partners have been identifying the top lawyers and firms across 185 jurisdictions around the world. The rankings in Chambers Canada are based on an extensive peer and client interview process in which a number of qualities are assessed – from technical ability and client service to diligence and professional conduct. Citigroup, one of the first international banks to enter the Kazakh market, is marking its 25th anniversary in the country. It feels current conditions in Kazakhstan provide ample opportunities for large multinational corporations. “Kazakhstan is an important market for us. Over the years, we have succeeded in establishing our subsidiary as a key player in the country’s banking industry, developed deep relationships with the government and the largest local corporates and grew our capital base to over $400 million, so that we have become the leading foreign investor in the country outside of the commodities sector. Since early 2000, we have helped Kazakhstan’s issuers raise more than $30 billion in financing,” Citi Chief Executive Officer for Europe, Middle East and Africa (EMEA) James Cowles said. The Citigroup franchise has established itself as the most reliable corporate bank in the country and become the mainstay for the vast majority of international corporations operating in Kazakhstan. As of April, Citibank Kazakhstan ranks first in payment volumes, seventh among Kazakh banks in capital (142.03 billion tenge (US$414 million)) and 11th by assets with a 30.1 billion tenge (US$87 million) increase since the beginning of the year. Citigroup has branches in Almaty and the capital and representative offices in Aktau and Atyrau. “We continue to build on our strategy of sustainable, targeted investments to drive increased market share and revenue growth. We are focused on being the best for our clients. We focus on innovation and are using technology to enhance our capabilities, improve the experiences of our clients and to lower our costs,” said Cowles. The bank serves multinational companies, emerging market champions, the public sector, institutional investors and an ultrahigh network of EMEA households. “We recently opened a new office in Saudi Arabia, where their Vision 2030 plan is especially ambitious and exciting. I expect significant growth in the banking sector in the Middle East and Africa in the coming years. We also see growth potential in Western Europe and it’s another area of focus in our EMEA priorities,” he added. Last year was a strong one in investment banking. Citigroup significantly improved its wallet share in mergers and acquisitions (M&A) and equity capital markets (ECM). “We ended the year ranked second in EMEA in investment banking revenues, our highest ranking ever. In ECM, we topped the volume tables and ended the year as number one in overall ECM and IPOs (initial public offerings). We have a differentiated strategy, have refined our client base and are extremely focused on delivering for that set of clients,” he said. Kazakhstan plays a pivotal role in the Belt and Road Initiative (BRI), as one of the key BRI pillars – the Eurasian land bridge – is being developed almost entirely in Kazakhstan. “The country has become host of the largest dry port in the world, located in Khorgos, which will help bridge the railway systems of China and Kazakhstan and the rest of Eurasia and Europe, leading to a significant reduction in the shipment cycle for international trade,” said Cowles. The country’s location is critical for Chinese goods leaving for many countries, including those in the European Union and North America. “Kazakhstan is benefitting from significant Chinese investments and there are around 50 projects that the government has announced it is supporting as part of its renewed and strengthened cooperation with China. Kazakhstan has become one of the few countries that has supported the BRI with its own Nurly Zhol programme, where the government co-invests in important projects in industries such as oil and gas, chemicals, industrial production and others,” he added. The government has made significant progress in creating a favourable climate for foreign direct investment (FDI), he noted. “According to official estimates, the volume of FDI has reached nearly $300 billion since the early 1990s, making Kazakhstan the leading country by FDI per capita among the CIS (Commonwealth of Independent States) countries. Kazakhstan is tightly integrated into regional trade and the global economy and is well positioned to benefit from BRI,” he said. Citigroup is also pleased to be part of the Foreign Investor Council (FIC) under the President of Kazakhstan, which provides a platform for exchanging views and networking with investors. “The FIC composition – over 30 companies representing major multinationals and key foreign players operating in the country – is another testament to the fact that Kazakhstan has become host to many of the largest corporates in the world,” he said. Cowles also spoke about his expectations in banking sector development. “Our experience in emerging economies is that the wallet for financial services tends to expand by 1.5 times-twice the rate of economic growth. As Kazakhstan continues to rebound from the crisis and to open up to foreign investment, that bodes well for the banking sector. As the wallet for financial services grows, I would expect the banking sector to become more competitive. At Citi, we see an opportunity to partner with local banks to help them expand their product offerings, for example,” he said.